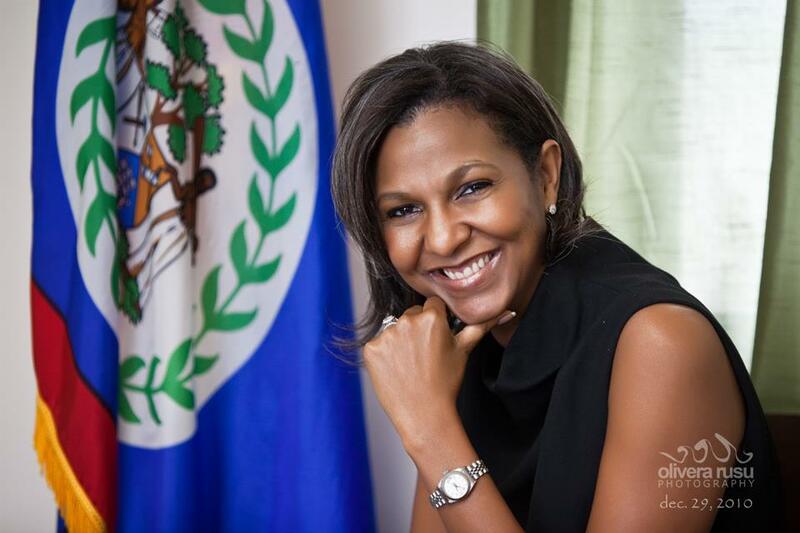 The Special Envoy for Women and Children, Mrs. Kim Simplis Barrow and CARE-Belize are once again hosting a nationwide telethon to raise funds to complete and equip the Inspiration Center for children with disabilities in Belize. The telethon will held on Saturday, June, 1st, 2013 at the Bliss Center for the Performing Arts in Belize City. Construction of center at 1.5 mile on the George Price Highway is well underway and the funds raised this year will be primarily used for the purchase of specialized equipment to provide physical and occupational therapy, medical care, recreational activities and other services catered to the needs of children with disabilities. The center will also serve as a community center with after-school classes for disadvantaged children from the surrounding communities. 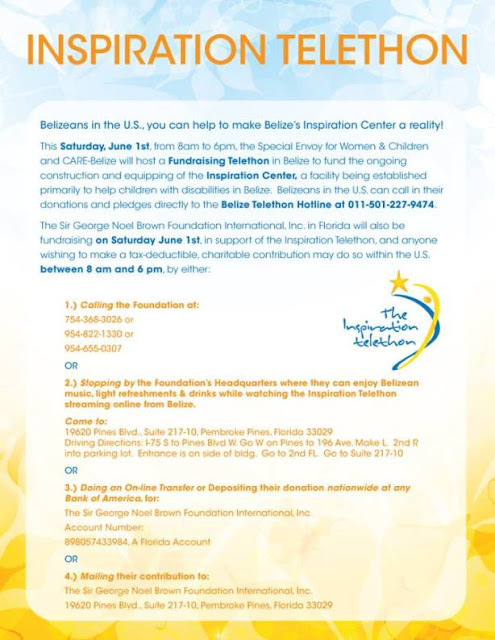 The telethon will run from 8am to 6pm at the Bliss and will be simulcast on local TV and radio as well as live streaming on the internet. Belizeans at home and abroad can donate to this by depositing to the center’s bank account, through texting, billing pledges to their BTL accounts, credit card and by purchasing the Inspiration Center T-shirts and hats. International donors can dial 011-501-227-WISH (9474).